Target's PR director Katie Boylan explains how ambitious local comms professionals benefit from the region's diverse corporations and small city feel. Strolling through the Minneapolis Institute of Arts, museum-goers might subconsciously find themselves thinking about dropping by their local Target store on the way home. With its corporate headquarters located in the city’s Nicollet Mall, Target’s presence can be felt throughout Minneapolis, especially as the retailer’s former CEO Bob Ulrich, who retired in 2009, was vested in the arts and supported local organizations. Many companies in the city, especially Target, are known for helping the local community. "Target gives back in all the communities it serves, but this is especially prevalent in Minneapolis," says the company’s PR director Katie Boylan, who grew up nearby and has been with the retail giant for four years. Target competitor Best Buy is also headquartered in the area, along with General Mills, Cargill, Land O’Lakes, Medtronic, and UnitedHealthcare. "It is a diversified market with a little bit of everything, which affords people amazing opportunities to build and grow their careers," Boylan notes. This is what inspired many on her 35-strong communications team at Target to relocate to the region from major cities around the country. However, most of the company’s PR pros find themselves flying back out to those cities as part of their job. "In order to connect with national media outlets in New York and Los Angeles, you need to have boots on the ground. Sometimes that means jumping on a flight to meet them," she says. The city saw a record $2 billion in new construction in 2014, up about 60% from the previous year, according to the Star Tribune. The recent boom has been fueled by publicly subsidized projects, such as Vikings Stadium – which will be the new home of the NFL’s Minnesota Vikings – and the Wells Fargo Downtown East development, as well as residential developments. Although the city does boast major agencies such as Weber Shandwick, Spong, Olson Engage, and FleishmanHillard, small to midsize independent firms such as Fast Horse, Lola Red, and Beehive PR are more commonly found in the area, she notes. 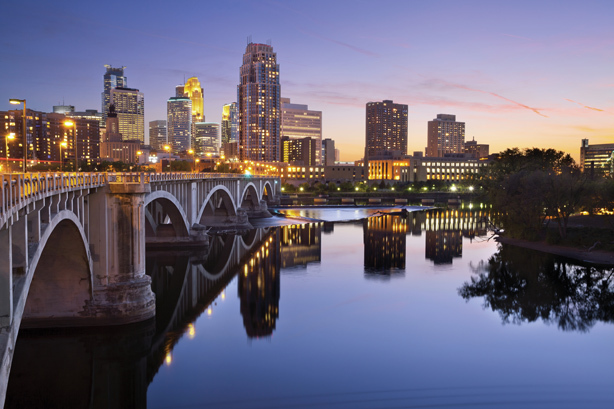 Boylan, who spent seven years in Chicago working with Edelman and Burson-Marsteller, says that Minneapolis’ smaller environment makes it easier to quickly gain exposure in the field. "Because the firms are smaller in scope, they need to have talent that can compete with large, global agencies located in cities such as Chicago and on the coasts," she adds. "I always encourage people to tap into the city’s agency scene, which provides opportunities for learning and exploring the world of PR," Boylan says. "Or, if you want to transition into the corporate side, it is a matter of figuring out what you want to focus on, due to the different industries based here." 1. In downtown Minneapolis, across the street from Target’s headquarters, a Mexican restaurant called Masa is Boylan’s go-to venue for hosting reporters and partners. Vincent Burger, also nearby, is not to be missed. 2. The city has a population of 400,070, according to the US Census Bureau. 3. The state’s unemployment rate in October 2014 was 3.9%, according to the Minnesota Department of Employment and Economic Development, compared with the national rate of 5.8%. 4. The city’s median sales price for homes is $223,250, according to Trulia.com. 5. The 2014 Fortune 500 contains 18 companies from the area including: UnitedHealth Group (#14), Target (#36), Best Buy (#60), CHS (#62), and Supervalu (#94). 6. In December, Internet service provider US Internet launched the world’s first 10 GBPS Internet speed service for residents and small-business owners.